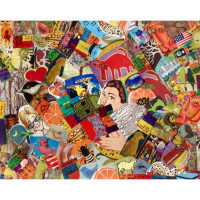 Greeting Cards and Postcards for sale direct from South Carolina photographers. Set of five (5) folded "Choppin Cotton" notecards with envelopes by local artist Rebecca Hinson in Charleston, SC. ..
Set of five (5) half-fold greeting cards with envelopes. 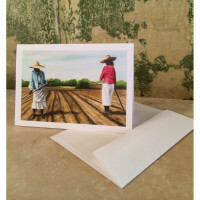 This beautiful set of fine art greeting cards are a great way to remember your trip to Historic Charleston, South Carolina. 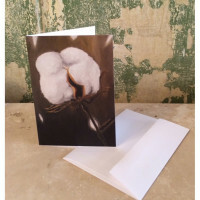 Also makes a beautiful gift to friends and family that may have no..
Set of five (5) folded "King Cotton" notecards with envelopes by local artist Rebecca Hinson in Charleston, SC. ..